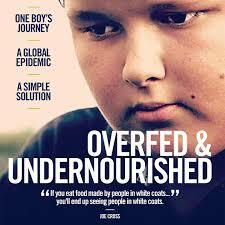 WATCH OVERFED & UNDERNOURISHED FREE THIS WEEKEND ONLY! Starting this Friday we’re hosting a FREE screening of the incredible new Documentary – “Overfed & Undernourished”! Click here to watch the trailer and secure your spot today! In the film you’ll discover how to break free from unhealthy habits holding you back, gain invaluable advice from global health experts including Joe Cross from ‘Fat, Sick and Nearly Dead’, learn the shocking reality of the global obesity epidemic and be inspired by a brave boy’s journey to regain his health! Filed under: "Overfed & Undernourished" |	Comments Off on WATCH OVERFED & UNDERNOURISHED FREE THIS WEEKEND ONLY!